Whole Grain Oats (Includes The Oat Bran), Sugar, Modified Corn Starch, Brown Sugar, Honey, Freeze Dried Blueberries, Freeze Dried Strawberries, Oat Fiber, Salt, Freeze Dried Raspberries, Calcium Carbonate, Trisodium Phosphate. Ferric Orthophosphate (Iron Source), Ascorbic Acid (Vitamin C), Niacinamide (A B Vitamin), Vitamin A Palmitate, Folic Acid (A B Vitamin), Zinc Oxide (Zinc Source), Cyanocobalamin (Vitamin B12), Thiamin Mononitrate (Vitamin B1), Vitamin D, Vitamin E (Mixed Tocopherols) Added to Preserve Freshness. Pour in some milk, or eat dry for breakfast, lunch, dinner – or whenever! Not a significant source of vitamin D, or potassium. We’ve long believed that a nutritious, well rounded breakfast can make your day, and nothing gets us ready to tackle the to-do list like warm pancakes, a perfectly fried egg, or slow-cooked steel-cut oatmeal. But some mornings, reality gets the best of us, and cereal is our best friend. Thankfully, breakfast cereal doesn’t have to be boring to be healthy, and if you know where to look, you can hit that sweet spot between fun, flavor and nutrition. 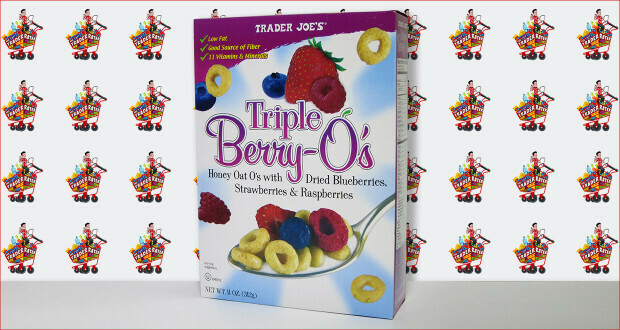 Case in point: Triple Berry-O’s cereal from TJ’s. We always try to keep a box of these tasty honey oats on hand, and so far, they have yet to disappoint. The toasted, puffed oats are honey-kissed for a hint of sweetness, and they stay crunchy in milk. The freeze dried berries are an added treat, and if you give them a few minutes to soak up the milk and reconstitute, they taste fresh and tart. You can’t beat the convenience of cereal, and thanks to this O’s variety, you’ll have a hard time beating the nutritional value (and taste!) as well. Did you know this item’s thin plastic package is recyclable? You can’t recycle it with traditional plastic containers, but you can drop it off at most grocery and retail stores – including Trader Joe’s. Click to learn more about recycling plastic bags and wrapping. 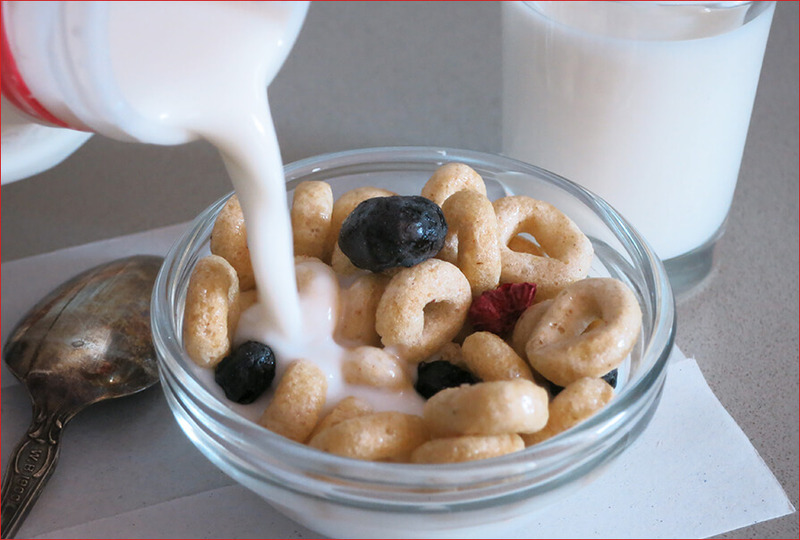 Summary : These well-flavored and subtly sweet toasted O's are complimented by the tart freeze-dried berries to make this cereal a must have in our kitchen! The selection at Trader Joe's is amazing, and we are constantly discovering new and exciting products. But all those options can be a bit overwhelming, and it can be hard to know what's worth buying. That's where we come in! Our goal is to help you navigate the aisles by providing you with unbiased (and unauthorized) reviews and recommendations to help you decide whether to "scan it" or "can it". 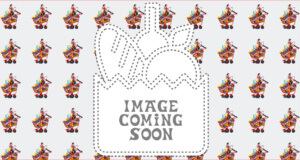 We hope you find our site helpful!